It was taken for granted that legendary Japanese designer Hideo Kojima would be leaving Konami by year’s end. 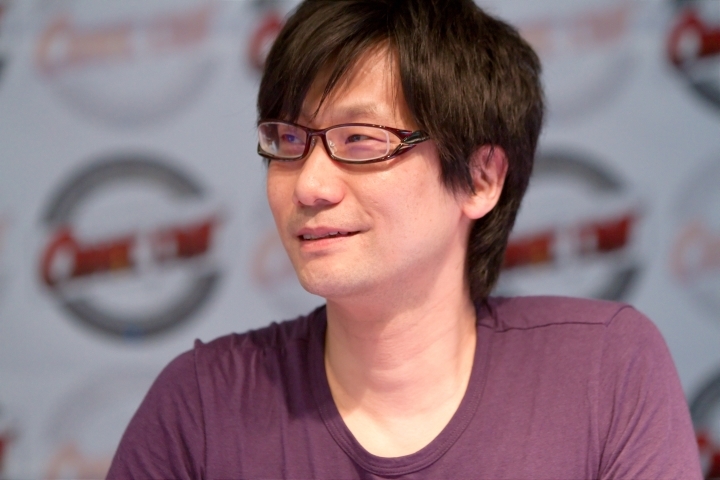 After all, not only did the Tokyo-based company remove Kojima’s name from the Metal Gear Solid V cover art, but Kojima himself also appeared in an emotional farewell video earlier this year, and Konami cancelled the designer’s high-profile video game Silent Hills, which was to be a collaboration with pop culture star director Guillermo del Toro. And speaking of Guillermo del Toro, he recently told horror website Bloody Disgusting that Silent Hills’ cancellation “made no f**king sense”. And perhaps the same could be said of statements made by a Konami spokesperson to Tokyo Sports (translated by Kotaku), in which the company declared that not only was Kojima not leaving Konami, but that he was “taking a long time off from work”, after the fatigue-inducing development of Metal Gear Solid V. In other words, Kojima is still a Konami employee, and he’s just on vacation. This would strike many as odd, given the highly publicised farewell party at Konami attended by Kojima and his colleagues, a picture of which was tweeted by a New Yorker writer (see below). Also consider that Kojima’s breakup with Konami has been one of the most controversial video game events of the year, and that Konami’s vindictive corporate culture has also made it one of the most controversial video game companies out there. After all, reports suggest that working conditions at Konami are far from rosy, with poor-performing employees who are no longer useful in the game development process being sent to work as security guards or janitors at Konami’s fitness centres. Although it is hard to imagine Kojima handling out towels at a Tokyo fitness centre… After all, Metal Gear Solid V has been a critical and commercial success, making more than $179 million (£115 million) on its launch day alone, according to The New Yorker. And responding to Konami’s move of removing his name from the Metal Gear Solid V cover art, Kojima put his name in the credits after every single level of the game, proving that no one can bash his ego. Also it won’t be that hard for someone of Kojima’s talent to find a new studio once his no-compete clause with Konami expires in December. And for the good of the gaming world, here’s hoping that the legendary designer keeps producing more great blockbuster video games to his name.